The same week that World Wrestling Entertainment officially made history, announcing that the Raw Women's Championship match will main event and close Wrestlemania 35, Charlotte Flair goes from third wheel to changing the entire paradigm of the showdown against Ronda Rousey and Becky Lynch. On Smackdown Live, Flair defeated Asuka to win the Smackdown Women's Championship, returning her to equal footing with her opponents and reminding the world that the second-generation star should never be overlooked. Ignore whether WWE's storyline has been clunky. With mainstream media appearances on ESPN and the buzz over whether the Smackdown title will also be defended at MetLife Stadium, Flair has captured the imagination of the world. That's what being newsworthy is all about. Wooo! Do you believe in miracles? That may very well be what the announcing team is screaming at Wrestlemania 35 next week. 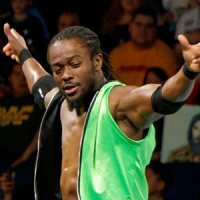 It was a long, arduous path for Kofi Kingston, but he has completed the journey over the River Styx and now stands officially named the challenger to WWE Champion Daniel Bryan. Can the beloved veteran make history? Will he pull out a Royal Rumble-like athletic feat to shock the world? Will New Day rock the very fabric of WWE? These are the questions that fans ponder and get excited about as Wrestlemania inches every closer. The ends justify the means – Kingston has never had more momentum than he has right now. Sunday, April 7th is his moment of truth. Ring of Honor has one more show to go before the G1 Supercard in New York City and perhaps the most intriguing match that will air live on FITE features Villain Enterprises' PCO and Brody King defending the ROH World Tag Team Championships against The Briscoes. Their last battle at the ROH Anniversary show was an insane war and should they retain here, PCO gets to walk back into Madison Square Garden years after his last appearance there as a double champion. Meanwhile, Marty Scurll continues to be the talk of pro wrestling as victory in his ladder match for the ROH World Championship could set the stage for the future trajectory of his career. For a relatively newly formed unit, Brody King, PCO and Marty Scurll have become a central force within Ring of Honor. The last several weeks have seen Roman Reigns verbally accosted by Drew McIntyre and beaten down by the Scottish star, but all of that is part of a much bigger picture being painted by WWE. By saving Roman's return singles match for Wrestlemania, WWE is building up the anticipation for this grudge match, giving the former WWE Universal Champion a truly and deeply personal issue to avenge. 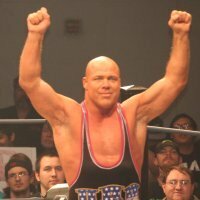 That's what a great hero in pro wrestling does – he overcomes. Reigns may -finally – be in the position to be the next great hero within WWE, and the expectations surrounding the war he and Drew McIntyre will enter have been buzzworthy enough to elevate Reigns further in the FITE rankings. World Wrestling Entertainment's hottest performer continues to sizzle. This past weekend, she had strong performance in the ring followed by a victory in the Beat the Clock challenge on Raw. On Smackdown, Lynch watched as the treasure she was pursuing at Wrestlemania has become even more precious with the addition of the Smackdown Women's Championship. Lynch's popularity continues to be a force of nature, built organically, and the entire WWE fan base continues to live and die by her adventures. The biggest night in her storied career is just a week away – and fans are already wondering what will transpire, and what will happen next after Wrestlemania 35…. 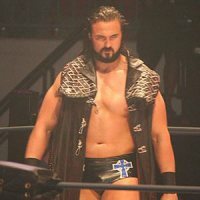 Once upon a time, Drew McIntyre was the answer to the question posed by fans when they discussed the most underutilized WWE talent. Now, he's storming into Wrestlemania with the biggest singles match of his career, facing Roman Reigns. McIntyre continues to elevate his game with great in-ring interviews and gritty brawls, such as his Falls Count Anywhere victory over Dean Ambrose on Monday Night Raw. More than that, he's emerged like a Phoenix from the ashes, evolving into perhaps the greatest villain in modern day WWE. Every great hero needs an antagonist to battle and conquer. Luke Skywalker needed Darth Vader. Harry Potter needed Voldemort. Roman Reigns needs Drew McIntyre. The Bad Boy is returning to action after his knee surgery last year and of course, he's about to slice through Wrestlemania weekend like The Walking Dead's Michonne charging at a zombie army. Once again, Janela will present his Spring Break events, bringing forth the grittiest of underground wrestling with names like Essa Rios, TAKA Michinoku, Atsushi Onita and more involved, these will be the independent wrestling events that become the talk of the biggest week of the year. Janela is a twisted soul, one who lives his life in excess. If he was any different, he wouldn't be the madcap mastermind that he is – as a competitor and as a promoter. FITE will present his Spring Break events live, but don't say you weren't warned about the depraved insanity that you may witness. As the former Olympic Gold Medalist makes his way through his farewell tour, he racked up victories over AJ Styles and Samoa Joe. This week, Rey Mysterio is his opposition for his final announced Monday Night Raw encounter. However, the talk continues to center not on the body of work Angle has amassed over the last several decades, but the decision to pit him against Baron Corbin at Wrestlemania. For a Wrestlemania level farewell bout, it seems underwhelming, which has fans speculating that something bigger is in store for the former WWE and Impact Wrestling Champion. Everything comes to a head for Angle, the performer, next week. How he is treated and celebrated as he exits stage left is something every fan is paying close attention to. The Raw Women's Champion is taking credit for women headlining Wrestlemania 35 and she doesn't care what you think about it. Ronda Rousey is ripping people apart in the ring and on the microphone and doesn't care what people think. Rousey intends to walk into Wrestlemania and change the narrative from "Becky Lynch must be winning the belt" to "How can Becky survive?" In the few short weeks since Rousey's demeanor has grown darker and more bitter and sinister on WWE programming, she's continued to be the central nervous system for the women's division. Next week, she'll become the first woman to headline for UFC and WWE. She doesn't care what you think about it. She knows you'll be watching. The reigning and defending Impact Champion has decimated top challenger Brian Cage in recent weeks on Impact TV and now he's completely decimated the United We Stand event next week on FITE. Refusing to tag with Team Impact because Cage is a member, Impact has instead entered himself into the Ultimate X match, choosing to test his limits during the return of Impact's true signature match. This leaves a number of questions open for Impact leading not just into next week in Jersey but in terms of the ramifications of what happens if he wins a shot at the X-Division Championship and how that could change the course of Impact's road to their Rebellion PPV next month in Toronto….